Patara Elephant Farm is Thailand's only elephant breeding farm. Patara Elephant Farm invites you to hands-on experience on participating, sharing responsibilities and taking care of an elephant. Why Patara Elephant Farm is special ? Patara Elephant Farm is a health-recovery and reproduction-management farm for elephants. Its focus is on educating the public on elephants and the threats they face. To do this, the farm pairs visitors up with an elephant for a day and assigns them the task of caring for that elephant. 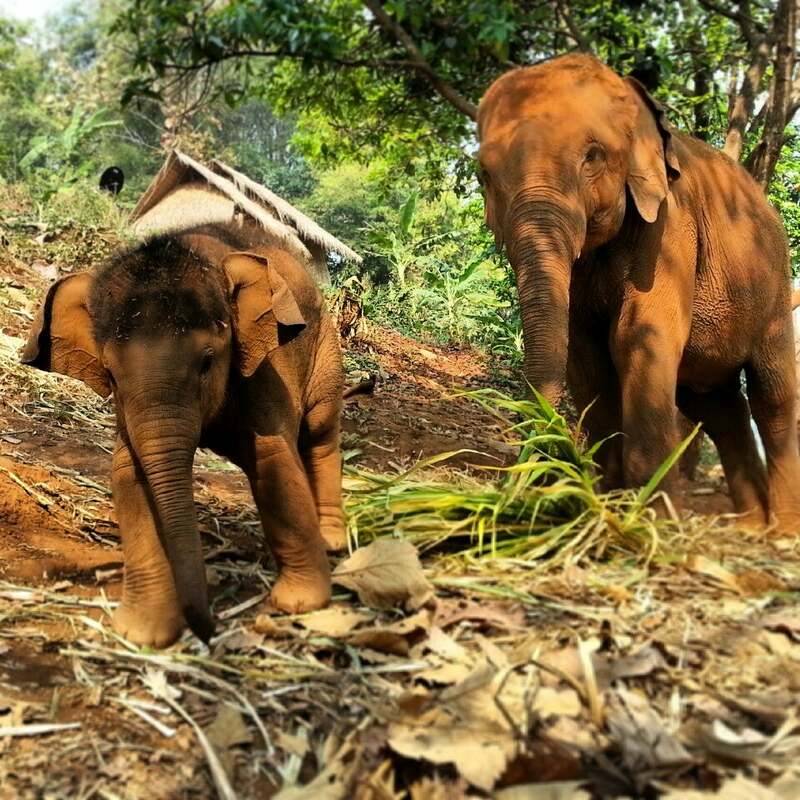 Patara Elephant Farm was founded in 2001 by a man named Theerapat "Pat" Trungprakan's and his wife Anocha "Dao" with the goal of preserving the elephant population in Thailand. Theerapat says there is much sacrifice involved, and says he and the other caretakers spend more time with the elephants than with their wives. The elephants' caretakers, known as mahouts, are from a nearby Karen village and are paired-up with their own elephant to take care of. The Patara Elephant Farm was easily my favorite thing about my two weeks in Thailand. It is one of few elephant excursions that focuses on rehabilitation and care of the elephants. The family who runs Patara is excellent & has a palpable passion for what they do. The facility is lovely & provides so much space for the elephants, and the staff/handlers are incredible. All of the staff was very nice & worked to make sure both the elephants and people were safe & comfortable during the entirety of the experience. We were picked up via shuttle from our hotel around 7:30am and were dropped off by 3:00pm, which was definitely better timing than the afternoon tour. The staff introduces you to the newest babies and their mothers & allows you to play & take pictures for a bit until they are ready to begin the tour. They begin the experience with an information session to explain their mission & their hopes for what you will take away from the experience. They make a point to distinguish themselves from other elephant excursions in that it is not a day for you to just ride elephants & take pictures; it is a day to make a strong connection with an elephant & learn to take care of an elephant & make sure it is both physically & mentally healthy, which is amazing. After you learn about their mission, you are introduced to the elephants & assigned one based on your personality (this ensures a positive connection for both you & the elephant & makes for a better experience for the both of you). Your elephant is accompanied by a handler that regularly works with the elephants, so you are always accompanied by a professional (they even walk alongside you while you ride). You feed the elephants, give them water, learn the signs of a happy, healthy elephant, how to take care of their skin properly (including bathing them in a watering hole), & commands that help you communicate. They provide you with a poncho & long, thin pants to keep your legs comfortable on the back of the elephant. Afterwards, you ride the elephants through the forest on a trail (about an hour-long ride) that leads to a clearing with a man-made watering hole for the elephants, gazebo, small bathroom, & picnic tables, because they provide you with an authentic Thai-style fresh lunch. The tour continues for only 20 or so minutes after lunch, just enough time to return back through the trail. While you enjoy yourself, there is a professional photographer/videographer documenting the experience, so you don't have to worry about missing out on pictures (although you can give your camera to your handler & they will take some as well). At the end, they distribute a complimentary DVD that includes all of the pictures (roughly 700) and videos (close to 40) from the day. The experience was only 6,000 baht, which was a steal, considering the adventure itself, the lunch provided, & the DVD. Excellent elephant farm - truly tries to teach guests how a mabhout goes about his daily life with his elephants. Don't be afraid to ask your mabhout to help you with taking pictures or videos!